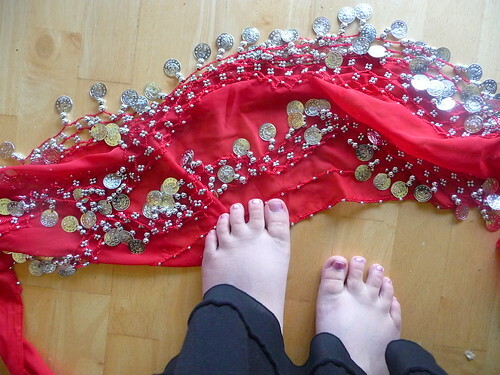 My belly dance instructor is holding lessons again! Hooray! Tonight was the first class of the new session. Goodness do I feel ungraceful and out of practice especially since it seems like most of the other girls in the class are people she's been teaching for a long time and/or are in her dance troop. Oh well, it's still a lot of fun. I'm learning to laugh at myself! Yay! I stopped taking lessons since travel made it impossible for me to stay on any kind of schedule. Good luck with your practising!